The Colorado winter is just getting started, so don’t count on a reprieve from the snow just yet! If you’re a Colorado transplant, you may not know that our highest snowfall totals are in February and March, so don’t pack up the snow shovel and unpack your flip-flops just yet. The traditional Colorado winter activities that most people think of — as seen on social media — are skiing and snowboarding, snowshoeing, and winter hiking. 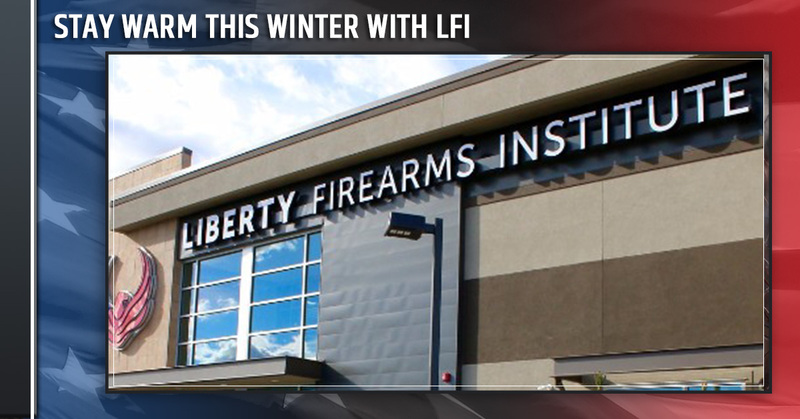 Native Coloradans live and breathe the outdoors, but if you’re finding this winter that you’d rather be indoors, at Liberty Firearms Institute, our indoor shooting range is a great alternative to the ordinary! The weather is dreary, and in Colorado, we’ve seen the biggest snowstorms within the last two two weeks. If you need a winter escape that brings excitement and fun while developing or sharpening new skills, LFI is the winter retreat for you. So this weekend, instead of lounging on the couch or seeing a new movie, shake things up a little and grab your friends and come to an indoor shooting range at LFI. At LFI, we offer both lane reservations that you can make online and walk-in lane rentals. If you’re new to LFI — we welcome you — and please know we’re here to answer any questions as well as provide a guided tour of our state-of-the-art facility when you arrive. When you participate in our indoor shooting range, you’ll have access to the 25, 50, and100-yardd lanes, in addition to the archery lane. If you’re a non-member, you do receive all of the standard range amenities which include ear and eye protection, lead sleds, bags, stools, and firearm rentals (at an additional charge). 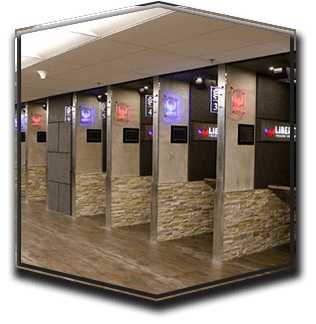 Our indoor shooting range walk-in lane rental prices are below, and lane rentals are subject to availability. Our peak times are weekends, so you may to to call in ahead of time and inquire about availability. Keep in mind that we do perform a one-time $7.00 background check for all participants 18 and over. 25 yard lane – $25.00 (single) and $40.00 (shared). 50 yard lane – $25.00 (single) and $40.00 (shared). 100 yard lane – $30.00 (single) and $45.00 (shared). As always, you can add to your shooting range experience and purchase 30 archery targets and tree stands. 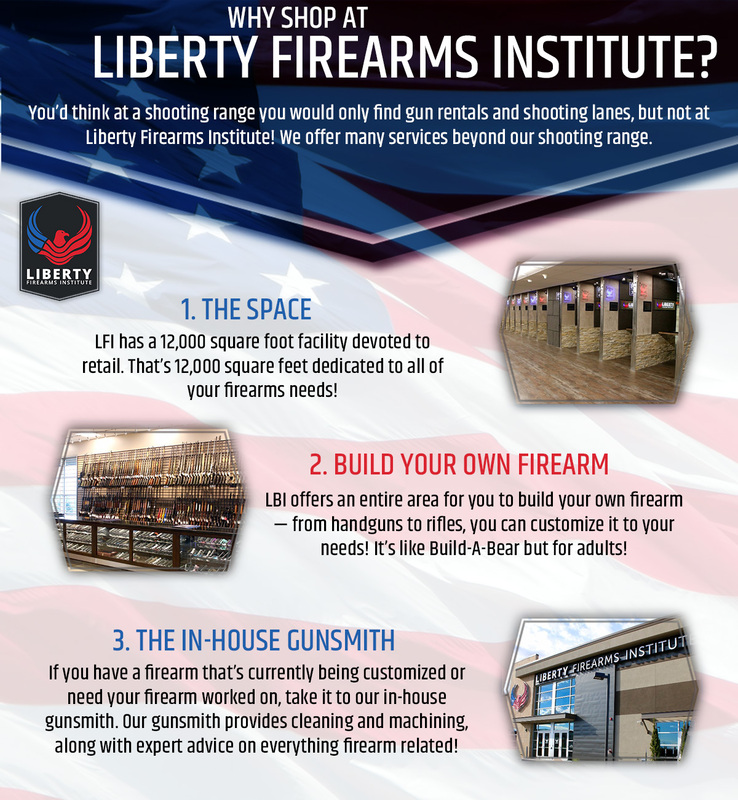 If you try LFI and are enthusiastic about expanding or sharpening your shooting skills, think about a membership or taking a class. The membership will enhance your tangible shooting skills by allowing you to physically practice them, and our classes provide you with the knowledge to increase your tactical skills. If your love for visiting our indoor shooting range has turned into a full-fledge hobby, we have an in-house retail store that carries Colorado’s largest inventory of firearms and ammunition. Shake your winter blues today and pop into our facility this weekend!